Here’s how to fix Kodi 17 or 17.1 Krypton 2017 crash issue on Android, Windows, iOS, Mac or any other compatible platform it’s installed on. As most of you may already know by now, Kodi is an extremely loved media installation across multiple platforms by millions of users. However, as loved as it may be, versions 17.0 and 17.1 have recently been causing concern to some users on multiple device types due to a persistent crash which occurs when a video has been watched. In order to solve the problem, check out the solutions below. Are you getting the “unfortunately Kodi has stopped” message on your Android Kodi installation? Then this may help. Step 1: Head immediately into the System section of the Kodi installation and then select Player settings. Step 2: Tap the cog-like icon on the bottom left which reads Basic and toggle it to Expert. This is the settings level we just adjusted and you will now see the panel on the right be populated with a host of different options to tweak. 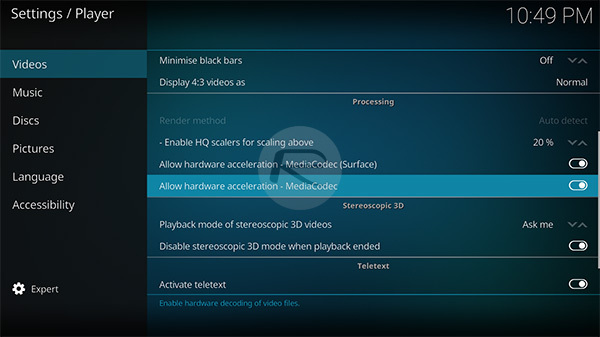 Step 3: Scroll down, and in the Processing section you will see an option titled “Allow hardware acceleration – MediaCodec”. This would be on by default, so make sure you toggle it to the Off position. This should hopefully fix the Kodi crashing issue on Android-based devices. It may seem like it is a fix akin to the old fashioned ‘turn it off and then back on again’, but this has been proven to work for Kodi users and is easy in its simplicity. 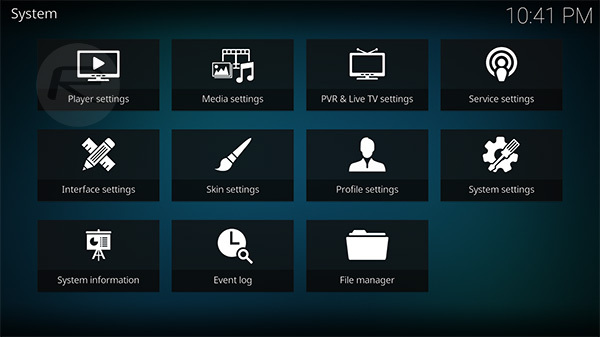 Some Kodi users have had positive experiences when disconnecting the device from having any Internet or network connectivity and then launching Kodi. The idea is to allow the Kodi platform to launch with no Internet on the hardware and once it’s launched, instantly connect the hardware back to the Internet to give it the connection that it needs. It’s definitely not a foolproof solution shown to work 100% of the time, but it has provided success in the past for a number of Kodi users. This has been shown to be a more permanent solution, and although it most definitely is “less hacky”, it is more time consuming and provides more stress than actually having a simple solution. This is it for now! 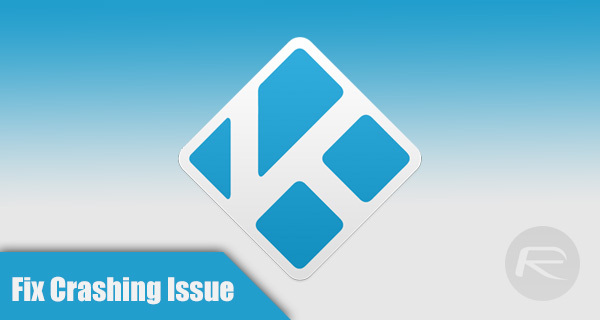 Let us know if any of the fixes above helped improve your Kodi experience. 17 feels rushed. Way too rushed. I just can’t FIND anyone who has it.